As a parent of a teen or young adult on the autism spectrum, you have probably had to focus most of your attention on getting all the pieces in place to ensure your student has a successful transition. Whether your son or daughter is going to college, entering the workplace, or learning to live independently, being a special needs parent entails more than many people realize. Over the years, you have had to take on many responsibilities, such as advocate, teacher, social worker, nurse, and so much more! The chronic stress that mothers of children with autism experience has been compared to the stress experienced by combat soldiers! This may not come as a surprise to the many parents who feel their level of stress is not easily understood by family and well-meaning friends. According to a recent survey of parents of children with autism, more than 80% reported sometimes being “stretched beyond their limits.” The three most stressful factors stated in the related article were: concern about long-term outcomes for their children, societal acceptance of the condition, and the limited social supports received by parents. What can parents do to deal with the stress of raising a child on the spectrum? Life coaching is a relatively new industry, and employing a life coach has been proven to lead to higher levels of self-awareness, lower stress reactions, and increased self-confidence among families with a child diagnosed with autism. According to a 2014 study conducted by the International Coach Federation, having a life coach was rated as a valuable investment that resulted in long-term positive outcomes for more than 98% of the participants. Here are three ways that the whole family benefits when parents are coached around the issues they face when raising their teens with autism through adulthood. Remember when your child was young and he/she impressed you with a wealth of knowledge? Perhaps your child surpassed peers with all the facts and trivia, whether it was about history, geography, movies, space, dinosaurs, or whatever else he/she had a special interest in. As parents, we tend to create a future story and timeline about our children’s future. We imagine them as scientists, paleontologists, or historians. We are so proud of their knowledge and achievements that sometimes it is easy to get caught up in the story and create unrealistic expectations of what the future will be like. It may be hard to accept that the road to a college degree may be a lot longer than originally envisioned, or that the road may lead to somewhere else entirely. A parent coach works with parents to help them gain clarity about what the present looks like and reframes expectations to be more realistic to meet their student where they presently are. Letting go of the timeline and focusing on present successes and challenges creates a more positive outlook and benefits both the parent and the student. Young adults are already feeling the pressure to follow their peers, but in reality, what difference does it really make a few years from now? Your student will achieve goals at his/her own pace, however long it takes. Wishing it to be faster or pressuring a student to push beyond their capabilities will not only result in negative outcomes, but will affect family relationships as well. When parents are asked what their top goals are for their student, the answer invariably is that they want their transitioning young adult to be healthy and happy in an independent life. It can be very challenging to adjust communication styles as children transition from child to teen to emerging adult. It takes more than patience to speak to your teen or young adult in an adult manner when developmentally he/she is still behaving as a juvenile. Positive communication starts with you, the parent. In order to get the respect and cooperation you are looking for, you need to understand what your student is going through on a daily basis. Having a coach facilitates the process so that you can gain perspective on the current situation without getting caught up in the history of the relationship. Raising a child on the spectrum can be very challenging, but having your own coach supporting, encouraging, and guiding you through could make all the difference in creating a positive, healthy, and mature relationship with your young adult. Ultimately, every parent wants the best possible future for his/her child. Although the path may not be smooth or direct, having a parent coach can ease the transition to adulthood for the whole family. Having each member of the family understanding each other’s perspective leads to more acceptance, stronger relationships, and a foundation of trust and open communication. As a result, your young adult feels safe to take risks and go out into the world to be the productive, happy son or daughter you know he/she can be. It takes time, but with patience and an open heart and mind, anything is possible! Sharona Sommer, CPC is a Certified Professional Coach and is the Director of Family Services at CIP (College Internship Program). This is very important. 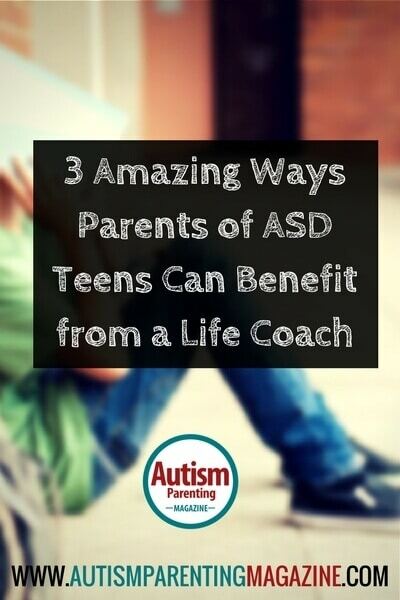 I am wondering if there are life coaches for the teen/young adult with autism. For example, my son is tired and bored of therapists and us (the parents) givingbhim advice. He would do better with a young/hip/cool guy giving advice on lifestyle, relationships and healthy habits.